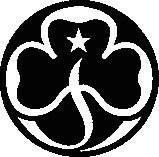 The Trefoil Guild meets at the Kennington Methodist Church on the third Tuesday of each month, except in the month of August. The meeting time is from 7.30pm until 930 – 10.00pm and there is usually a Guest Speaker or occasionally a Social meeting when the group will entertain themselves. The Guild is a welcoming organisation in the tradition of Guiding and asks if you are interested to just turn up on any of the Tuesdays at 7.30.